East African states have made considerable efforts in recent years to reduce the cost of doing business and boost intra-regional trade. There have been investments in large infrastructure projects, such as the expansion of ports and construction of highways; the introduction of one-stop border posts; and measures to ease the movement of goods and people across borders. But despite these efforts, the cost of doing business across the East African Community (EAC) remains high. Nairobi-headquartered TradeMark East Africa (TMEA) was established in 2010 with US$560m funding from a range of development agencies with the aim of improving trade in the region. TMEA works with EAC institutions, national governments, and business and civil society organisations. 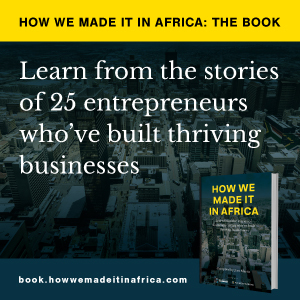 How we made it in Africa spoke to TMEA chief executive Frank Matsaert about the progress made in reducing trade costs, how to stop corruption, and the significance of informal traders. Below are edited excerpts. Businesses often complain about high transport costs in East Africa. Are things getting any better? The transport costs in East Africa are on average still about 60% higher than in the US and Europe. Landlocked countries like Rwanda, Uganda, South Sudan and DRC can’t export much because the costs are just so high. The high trade cost is holding back these economies. We aim to solve these challenges through initiatives that increase physical access to markets, enhance the trade environment, and improve business competitiveness. One of our targets is to increase trade by 10% by the end of next year and we are on track to deliver that. We also aim to reduce the time it takes to move goods around by 15% and so far we have achieved 12% of that as a direct [result] of our work. When we started back in 2010 it took 18 to 20 days to get a container from Mombasa (Kenya) to Kampala (Uganda) by road. Now it can take around eight to 10 days. There has been a silent revolution in logistics and a lot of companies that couldn’t trade before are now able to trade because the costs have fallen a lot. How significant is informal cross-border trade in the region? Some people think informal trade is probably as large as formal trade but the problem is it is not measured. One of the things we are doing for our next strategy is beginning measuring this. But some studies say it is huge. Informal trade mostly involves small scale businesses trying to move goods across borders, [taking advantage of] price differences. Most traders are involved in agricultural produce, staples and fast-moving consumer goods. The services trade is also big, for instance health and accounting services are rendered between Rwanda and the Democratic Republic of Congo (DRC). Informal trade is actually dominated by women. We have done some studies looking at the nature of informal trade and what we are seeing is that informal traders and women traders don’t know their rights. They get charged and exploited by officials at the borders, particularly because they don’t know that there are no tariffs and that they don’t need to pay any dues. There is a lot of harassment as well, especially sexual harassment of women across borders. We have piloted projects to make it easier for women traders to cross borders without being hassled. But there is a difference between informal and illicit trade. Illicit trading involves fake goods and smuggling of things like diamonds, extractives [and] timber. We know, for instance, that there is a lot of timber being moved from the DRC to the other countries. The volumes are difficult to tell. Illegal goods don’t often go through the mainline border points. In some industries, counterfeits are a big issue, such as in pharmaceuticals. The balance [between improving cross-border trade and curbing illegal trading] is in making sure that standards are agreed between all countries. At the moment some of the national standards disagree with each other, which makes it harder to combat counterfeiting issues. Corruption is a challenge in most countries here. How do we ensure corruption does not become a stumbling block to trade? Corruption is quite a big issue. The question is where it particularly hurts business. With trade it is usually when you move goods across borders and ports. Oftentimes goods are stopped when they don’t need to be [and] illicit payments are made. One of the things that can really help to solve this problem is to automate [and] take that human element out of the equation. One thing we have been doing with our partners is investing in the automation of trade processes. For example, if you bring in goods through the port and through borders a lot of those goods can be pre-cleared automatically. We have combined that with risk assessment where if you are an importer with a good track record, your goods are stopped less often compared to someone who has a bad record. That is creating a lot of incentive for the private sector not to pay bribes. The other interesting thing that we have been doing which uses technology to counter corruption is cargo tracking. You can track a container and if it is tampered with or there is any big issue, an alarm goes off and it is basically sensed in a control centre. We have done this in Uganda and it has been effective in reducing corruption. East Africa is also facing internal conflict, general insecurity and the threat of terrorism in some countries. How are these issues affecting integration? As long as the conflict in Somalia continues and there is still the al-Shabaab threat, it is going to impact neighbouring countries. But I think the more jobs we can create, the more this problem will go away. There are loads of young people in East Africa with no jobs and that can create a fertile ground for some of these terrorist groups. One of the things we are thinking about, which may help a bit, is really focusing on certain parts of the region where there is a lot of economic potential, yet unrealised, to create more jobs. We are thinking of putting more emphasis on the coast of Kenya because we think given its proximity to international markets, there should be a lot more economic activity than there is. The issues in South Sudan and Burundi are also very worrying. The conflict in South Sudan is affecting its neighbours. Uganda’s trade has fallen heavily because 40% of its exports go to South Sudan. Burundi is tricky because it is more an issue of longevity. We are going to stay engaged with Burundi, but I think we will focus more on working directly with the private sector. On a scale of one to 10, how would you rate the EAC region on integration? I would probably give it a seven. Some of the big political decisions have been made, [such as] a common market, moving towards a monetary union, and customs union. Those things are big and those decisions have happened, but the problem that dogs us a bit is the implementation. You can have a decision made on a common market but then the annexes create a lot of exclusions for free movement of people for some time. Even the customs union isn’t fully implemented. So you find political decisions are made, but the implementation lags and I think that is where we really need to focus. But compared to other parts of Africa, I think East Africa is well advanced.